The CAC Mother’s Club has raised over two-thousand dollars for the “Rawrrr with Colton” playground project. 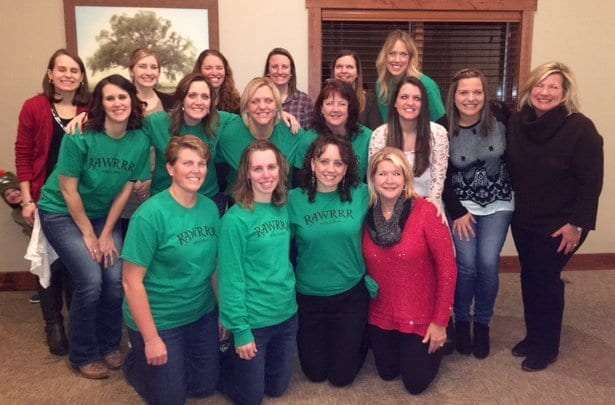 The club donated their time to “Bartenders for a Cause” last Friday night, serving as guest bartenders at Pin Oak Pub, Links and Event Center in Manchester. They collected $2,224.06 in tips, with all the money going to the “Rawrrr with Colton” playground project. The project’s goal is to help purchase and install new playground equipment at Manchester’s Tirrill Park in memory of 3-year old Colton Meyer, who passed away last December. You can find a photo of the guest bartenders on kmch.com. Pin Oak has been sponsoring “Bartenders for a Cause” weekly throughout the holiday season, with plans to hold it monthly starting after the new year.